CSS Template Shaker is WYSIWYG (what you see is what you get) xhtml / css template generator. Using the tool is pretty simple: just point and click to customize the look and feel of the template on the fly, in complete WYSIWYG environment. 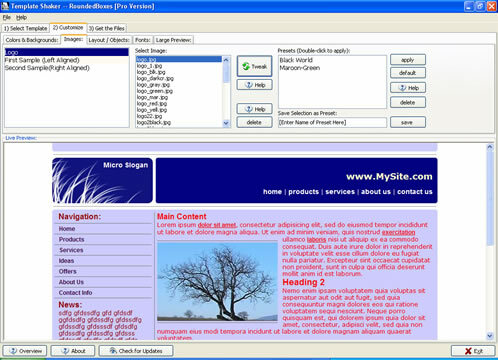 This version comes with 5 templates predefined, but with the customization options available you can produce hundreds of templates.